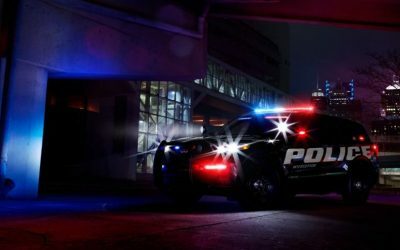 An El Paso (TX) police officer is lucky to be alive after being hit by a car early Friday morning. Andy Rodriguez, a 23-year veteran, responded to the scene of an accident at about 3 a.m. 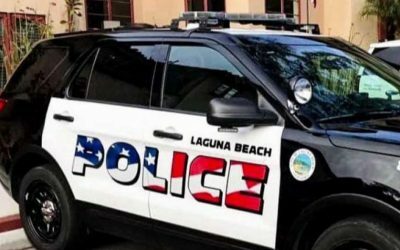 He was conducting a field sobriety test on a suspected drunk driver when another drunk driver drove into an assisting patrol car and pushed it into Rodriguez. It all happened while a dash cam was rolling. Rodriguez can be seen trying to evade the oncoming car. He pushed the man he was conducting the sobriety test on out of the way, got flipped off the side of the car and made a hard landing on the ground. The patrol car rolled off the road and came to a stop. Both the driver who hit Rodriguez and the driver he was conducting the sobriety test on were arrested and charged with DWI. 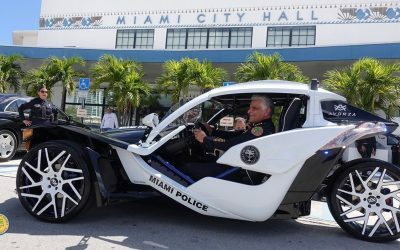 Is This The Coolest Cop Car Ever?